I wish to receive recalls, news and promotions emails from Scotia Chrysler. 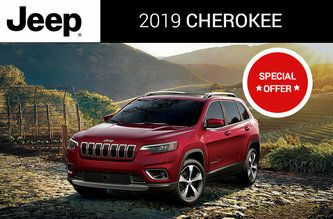 A maximum of $7,000 in total discounts is available on select 2019 Chrysler Pacifica Touring models and consists of $7,000 in Consumer Cash. Consumer Cash Discounts. See your dealer for details. Purchase Prices in Ontario, Alberta, Saskatchewan, Manitoba, and British Columbia include Consumer Cash Discounts and other incentives (where applicable), freight ($1,895 - $2,595), air conditioning charge, OMVIC/AMVIC fee and tire levy and exclude taxes, licence, insurance, any retailer administration fees and other retailer charges (if applicable) and other applicable fees and charges. Quebec Purchase Prices include Consumer Cash Discounts and other incentives (where applicable), freight ($1,895 - $2,595), and air conditioning charge, and exclude only licence, insurance, duties on new tires ($15) and applicable taxes, which will be required on purchase. In the rest of Canada, Purchase Prices include Consumer Cash Discounts and other incentives (where applicable) and exclude freight ($1,895 - $2,595), air conditioning charge, licence, insurance, any retailer administration fees and other retailer charges (if applicable) and other applicable fees and taxes. Retailers may sell for less. See participating retailers for complete details. 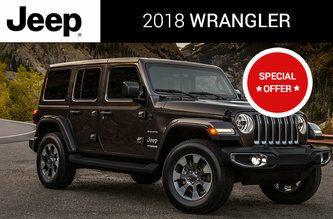 4.99% purchase financing for up to 96 months available to qualified customers on approved credit through Royal Bank ofCanada, Scotiabank and TD Auto Finance on select 2018 Chrysler models. 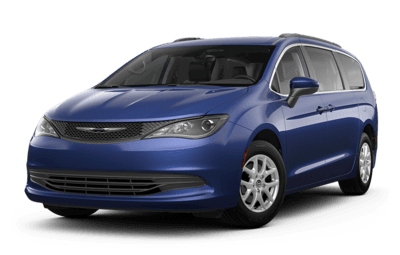 Example: 2019 Chrysler Pacifica Touring with a Purchase Price of $31,999, with a $0 down payment, financed at 4.99% for 96 months equals 416 weekly payments of $93.74; cost of borrowing of $6,996.84 and a total obligation of $38,995.84.